Is it ALL Greek to you! 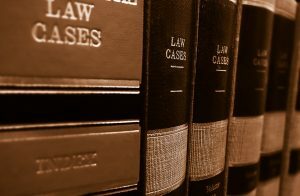 If you’ve ever uttered that phrase regarding legalese, the terminology of legal documents that is often and understandably difficult to understand, this article will serve as a necessary primer. No matter which industry or field a modern professional works in, invariably their work will involve legal aspects as applied to business/marketing research, analysis, documentation and compliance with local, state and federal judicial systems. ASTA-USA has been providing legal document translation services since 1987; allow us to translate the legal “Greek” for you. Here’s a list of legal terms every translation professional should know. No matter which sector or industry, all professionals should at least be aware of basic legal terminology. If it’s still all “Greek” to you, let ASTA-USA handle your legal document translation needs for you.